Film buffs can enjoy watching movies under the stars when Wandsworth Park and Tooting Common screen four blockbusters later this month. Luna Cinema, which specialises in open air film screenings, will be showing classic movies on four evenings in July – two in the park and two on the common. 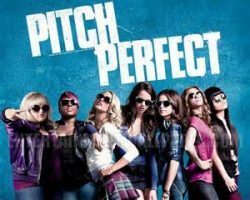 Musical comedy Pitch Perfect (cert 12 – 1hr 52 mins) tells the story of a teenage student cajoled into joining her college’s all-female singing group as they face up to their male rivals in a showdown campus competition. This film is being screened on Tooting Common on Wednesday, July 13. Doors open 7.45pm and the film starts at 9.15pm. 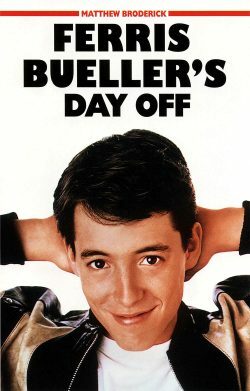 On Thursday, July 14, Tooting Common will be showing Ferris Bueller’s Day Off (cert 12A – 1hr 43 mins) Ferris is a rebel who’s determined to take the day off school. Having phoned in sick, he “borrows” a Ferrari before setting off on a madcap adventure through the streets of Chicago. Doors open at 7.45pm and the screening starts at 9.15pm. 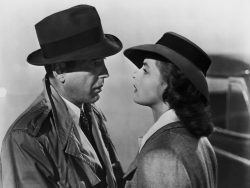 Luna’s pop up screen will return to the borough on Tuesday, July 26 with a screening of the classic film noir Casablanca (cert U – 1hr 42 mins) in Wandsworth Park. This tragic wartime love story, featuring some of Hollywood’s most immortal lines, stars Humphrey Bogart and Ingrid Bergman and is widely recognised as one of the greatest films of all time. Doors open at 7.30pm and the film commences at 9pm. 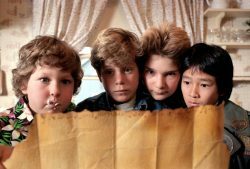 And on the following night, Wednesday, July 27, Wandsworth Park will host The Goonies (cert 12 – 1hr 54 mins). When two brothers find out their house is about to be sold to developers, they’re desperate to find a way of halting the deal – and when they and their friends find an ancient pirate treasure map they set off on a mission to find the place where X marks the spot. Doors open at 7.30pm and the film starts at 9pm. Tickets for all these films are available from Luna Cinema’s website – www.thelunacinema.com. Food and drink can be booked in advance or bought on the night. People can also bring their own chairs or hire special blankets with back rests. For more information about prices and food and drink options visit www.thelunacinema.com. Luna Cinema will be returning to the borough with three outdoor screenings in Battersea Park at the end of August. Visit the website for further details.